Eight Green Ways to Experience Belize In 2018! Belize, the small hybrid of Central American and Caribbean cultures, hasn’t been on the map as a can’t-miss destination, especially if compared to our more renowned neighbors, Mexico and Guatemala. Over the last 15 or so years, however, Belize has built itself a reputation around the local determination to preserve the rainforests, reefs, swamps, and overall ecosystems found within. 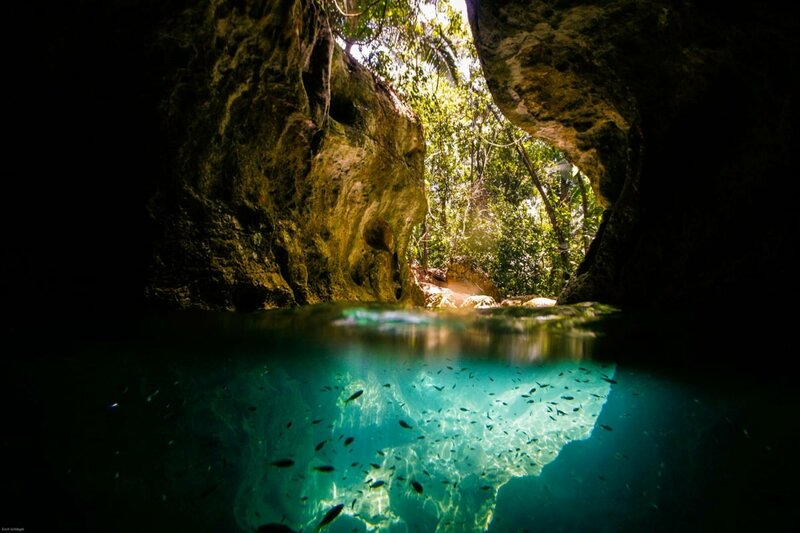 Increasingly, the concept of ecotourism drives travelers to unspoiled gems and Belize, be it on purpose or by nature has been positioned as a shining example of eco-consciousness. Your search for an Eco-conscious accommodation destination in Belize will be a short one as many of them are in varying degrees of the phrase. We’re not sure if Belizeans consciously try to live green or if respect for nature is inherent within us but it certainly is a prominent attitude. Be it through connecting with indigenous Maya people through education programs or learning about sustainability efforts from guides, Belize and Belizeans exude a sense of eco-sensibility. Commonly referred to as ‘ATM’ by locals and guides, Actun Tunichil Muknal (ATM) Cave is one of the most well preserved and valiantly guarded spiritual site, possibly in the world. Mayan people believed in a very real and very physical underworld. Limestone caves were thought to be the entrances to it and as such were the site for many important offering rituals. Mayan Priests would go there in times of impending turmoil to pray for rain for their crops by making offerings to the gods who lived there. The Department of Archeology only issues a small batch of licenses for ATM cave to the best guides around. Getting to ATM is no walk in the park either, a 45-minute jungle hike will take you to the entrance after which you will climb, swim, wade and be awestruck. Touring this cave formation will have your eyes be host to artifacts perfectly preserved in the calcium for hundreds of years. There are skulls and bones scattered throughout, but the true marvel is the complete, intact, calcified skeleton of a young Mayan. It was originally thought it was a woman, but it’s now disputed to be a young man. Conclusive studies are difficult as the skeleton has not, and will not be moved from its place. Mayan cities were not as we think of cities as today. They were instead relatively independent city-states managed by its own ruling family and in charge of the surrounding areas. Politics between them was handled on an individual basis as there was no overreaching government as we have in countries today. Xunantunich, located about 5 miles east of Belize’s Guatemala Border is one of the largest structures in Belize still. This Mayan settlement from the Classic Era about 200 to 900 AD is remarkably well intact, sporting a frieze in pristine condition near the top of El Castillo. Interestingly, the names we associate with each temple today isn’t necessarily what the Maya called them in their day. Xunantunich, for example, translates to “Stone Woman,” which refers to a myth of a female ghost dressed in white with fiery-red eyes who is said to disappear into the stone wall of El Castillo. As with many of the Maya sites in Belize, much of Xunantunich has yet to be excavated due in part to funding and preservation concerns. Beyond the thatched cottages, stunning suites & villas including the Ix Chel Rainforest Villas, a gorgeous infinity swimming pool, and an al’fresco restaurant, The Lodge at Chaa Creek prides itself on being a nature preserve. Facilities such as the 17-mile network of trails. Natural History Center, Butterfly Farm serve to underscore this Resort’s commitment to a green operation and green education. 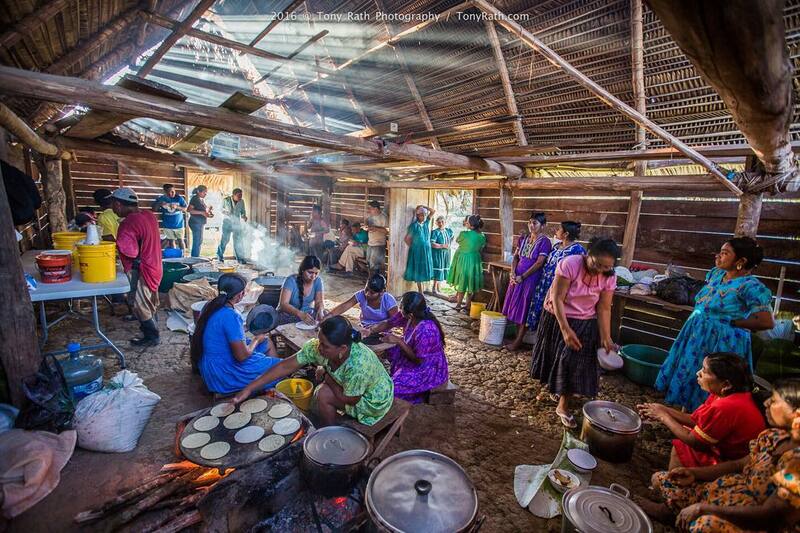 The most easily notable example of sustainable practice is the Maya Organic Farm. This 27-acre plot provides about 51% of the vegetables and herbs for their La Mariposa and Guava Limb restaurants, along with food for the resident animals. Co-owner Mick Fleming heads the project with unequaled passion. 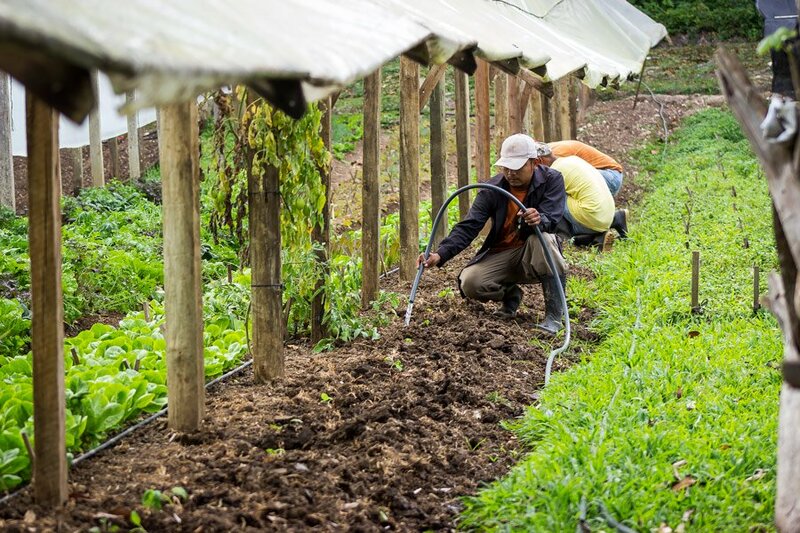 They rely mostly on ancient Mayan farming practices to keep produce and the soil healthy. To visit Ixcacao is to see first hand the original of it all. A part of Sustainable Harvest International who are celebrating their 20th anniversary, Ixcacao makes chocolate by hand. Juan and Abelina Cho use no electrical devices to harvest their beans, no industrial equipment at any point in the process at all. 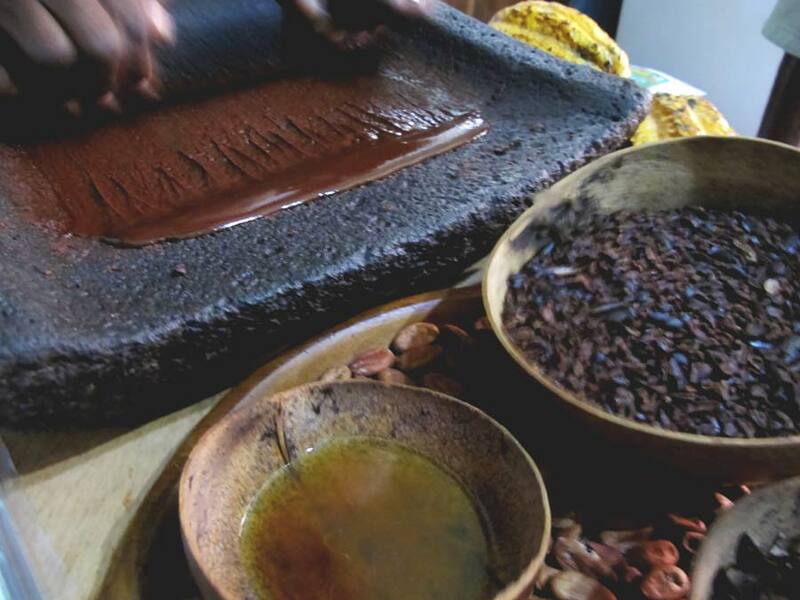 Though still a mictro-industry in Belize, Chocolate has a colorful history and the kind folks at Ixcacao can tell you all about it! 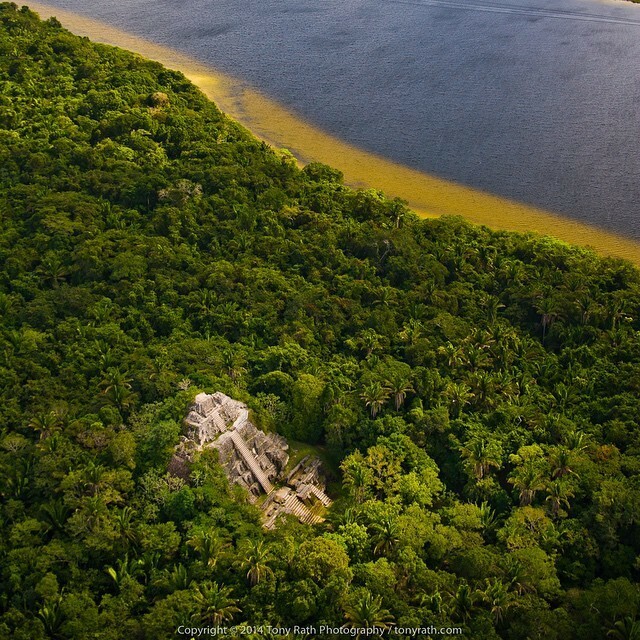 At the Lamanai Outpost, located in the Orange Walk district of northern Belize, you can stand in front of the second largest Pre-Classic Maya structure, where a small group of Maya lived among the ruins until 1991. Even better, if you take one of the night boat tours, you’ll see the red eyes of tropical birds, frogs, and crocodiles peeking up out of the water. The lodge sits on a 28-mile long lagoon, which once fed the major Maya city located there between 2000 BC and 300 AD. Lamanai Outpost limits its number of guests on jungle tours to between six and 10, and provides less than 20 cabanas in order to preserve the land on which it rests. Staying here feels like being in the heart of the jungle, with constant insects, birds, and other animals making noises throughout the night, and the rain coming quick, hard, and fast. To actually get to know an indigenous culture and its people, it takes more than going to a museum or even viewing an archeological site. That’s the best part about the Maya Homestay program – the opportunity to stay with a Maya family and experience traditional village life. Located in the village of San Jose, a bumpy van-ride about an hour from Punta Gorda’s airport, residents open their homes to visitors for about $10US a night. This includes a hammock to sleep on and homemade meals made up of freshly prepared tortillas and vegetables grown in their gardens. The houses are made from simple wood planks and thatched roofs, most of which have an outhouse. The families invite you to be a part of their day, which usually includes farming, weaving baskets, and knocking down coconuts from a tree for fresh coconut water. There is no electricity or running water in San Jose, so be sure to bring along bottled water or a portable water filter and a flashlight. With the second largest barrier reef in the world, many people visit Belize specifically to go scuba diving or snorkeling. But long-term use of diving in the same spots can hurt the reefs, as can tour operators who do not teach divers the importance of keeping hands off of the underwater habitat. Several companies in Belize, including Splash Dive Center in Placencia, understand the importance of sustainable diving practices not only for the protection of the environment but also for the future of their business. 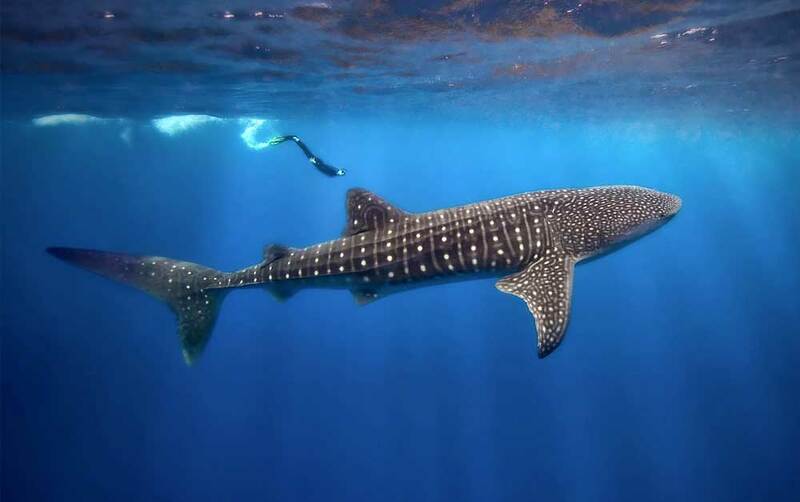 They are a part of several initiatives to protect local dive sites, including Placencia Mooring Masters project, and international ones that work to protect coastal zones and Whale sharks. Splash Dive Center also runs the ‘Splash Kids Club’ project, which brings children from the local community in and trains them how to scuba dive sustainably, providing future career opportunities for the disadvantaged youth of Placencia. Besides the jungle tours offered at Lamanai and Chaa Creek, many of the other eco-resorts or hotels can set you up on a jungle tour that promotes conservation of the land and its inhabitants. Machaca Hill Lodge provides excursions in the southern region of Belize, while Chan Chich Lodge can set up a wildlife excursion in northwestern Belize. The idea of an ecolodge includes using natural and sustainable resources for building materials and environmentally-friendly energy and waste systems. This extends out into tours of the rainforest, meaning a focus on having minimal human impact on the land, from touching wildlife as little as possible to leave no trash behind. 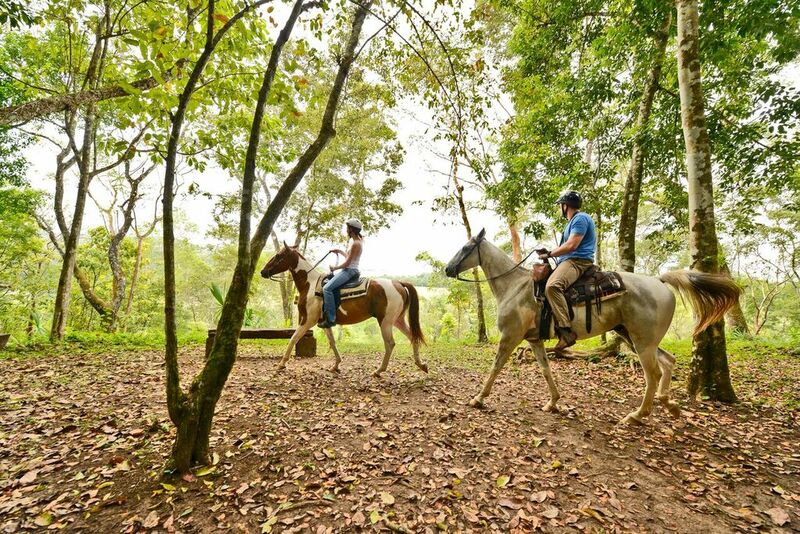 What are some other green ways to experience Belize? Let us know in the Comments.